Serving the greater Dallas area, DFW Financials provides bookkeeping and custom financial solutions for small to mid-sized businesses. Providing services as qualified bookkeepers for clients in Addison, Plano, Allen, Dallas, Richardson, Grapevine, Flower Mound, Lewisville and all over DFW, DFW Financials specializes in all facets of bookkeeping including accounts payable, accounts receivable, invoicing, collections, and bank reconciliations. We also provide many clear and concise reports that allow you to analyze your income and expenditures to make well-informed decisions based on that data. DFW Financials is dedicated to fast, accurate and courteous service with a simple mission - to provide the highest quality bookkeeping services possible for the Dallas area. We understand you may not have the time or tools needed to be your own bookkeeper. That is why DFW Financials fully manages these tasks and save you money along the way so you can get back to what is most important; growing your business. Keeping your bookkeeping records current is the key to growing and expanding your business. One of the most common reasons smaller companies fail is that they do not focus on maintaining good bookkeeping records, leaving them unable to see where money is being lost as well as identify profitable spending efforts. DFW Financials services can be customized to meet your company’s specific needs. Looking to replace your current bookkeeper? Constantly behind on your bookkeeping? Spending your valuable evening and weekend time trying to keep up with your books? Interested in saving on operating costs? Unable to keep track of all of your expenses? If you answered “YES” to any of these questions – please see our bookkeeping services section to find out how DFW Financials can help. DFW Financials specializes in the following: Learn more about our services. We provide a detailed list of services rendered with an account of all costs to your customers. We can keep track of all of your company expenses by keeping up with your bills. By handling all of your invoicing, we are able to track outstanding balances. We can take the proper steps in reminding delinquent clients to bring accounts current. We provide you with all reports - saving time by providing concise documentation required for processing taxes. Reconciling your business account each month keeps your bank account up-to-date. We service all of your bookkeeping needs from our location, and most of the information we will need can be transmitted electronically, which will save you both time and money in getting your important information to us. Learn More About DFW Financials. 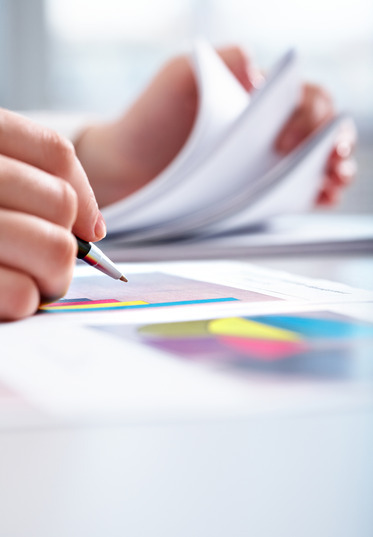 Accurate bookkeeping is vital to maintaining your business. Know how your business is doing by managing your cash flow more effectively. Proper management of funds not only saves money, it promotes growth as well.